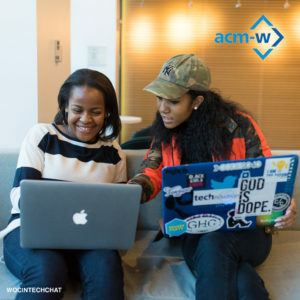 During the Virtual Undergraduate Town Hall, you will join students from around the world in a virtual mentoring event where you learn about cutting-edge research in the field of computing. You will have the opportunity to ask questions to distinguished computer scientists. Data centers that service interactive user requests require careful engineering to optimize the tail (99th percentile or higher) response times or users abandon the service. Optimizing these systems is challenging because tail latency is hard to measure and root causes of latency span networking, software, and hardware. We describe a new tool and methodology to measure performance at 1000 cycle granularities with 1% overheads, yielding orders-of-magnitude more detail than interrupt based sampling approaches. Our tool teases apart root causes of tail latency inspiring optimizations. For queuing delay, we describe scaling approaches and for requests with lots of work, we introduce a novel dynamic adaptive parallelization approach that reduces tail latency and surprisingly improves throughput. Optimizing the tail while substantially improving server efficiency is good for users, profitability, and the environment. Research, like life, is a human process. Intentionally developing your network and managing relationships with colleagues, faculty, and peers will make your work more fun and meaningful. Post-Discussion Chat: Join Kathryn McKinley & Lori Pollock for a chat to continue the discussion about undergraduate research opportunities, meet fellow students, and share your experiences. 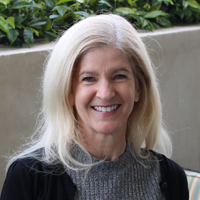 Kathryn S. McKinley is a Senior Research Scientist at Google and previously was a Researcher at Microsoft and an Endowed Professorship at The University of Texas at Austin. Her research spans programming languages, compilers, runtime systems, architecture, performance, and energy. She and her collaborators have produced several widely used tools: the DaCapo Java Benchmarks (30,000+ downloads), the TRIPS Compiler, Hoard memory manager, MMTk memory management toolkit, and the Immix garbage collector. 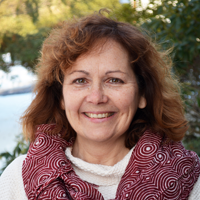 Her awards include the ACM SIGPLAN Programming Languages Software Award; ACM SIGPLAN Distinguished Service Award; and best & test of time paper awards from ASPLOS, OOPSLA, ICS, SIGMETRICS, IEEE Micro Top Picks, SIGPLAN Research Highlights, and CACM Research Highlights. She served as program chair for ASPLOS, PACT, PLDI, ISMM, and CGO. She is currently a CRA and CRA-W Board member. Dr. McKinley was honored to testify to the House Science Committee (Feb. 14, 2013). She is an IEEE and ACM Fellow. She has graduated 22 PhD students. Please join the webinar 15 minutes before the presentation begins to ensure you do not miss any valuable information. The webinar will last one hour and will be immediately followed by a 30-minute chat between attendees and the speaker.